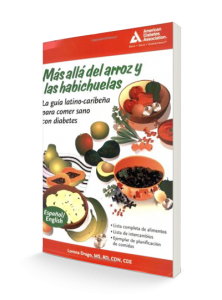 Written in English & Spanish, Beyond Rice and Beans is a long-awaited resource for dietitians/nutritionists and diabetes educators and people who want to manage their diabetes but don’t want to sacrifice the mainstay of their cultural identity. Included are a Latin American food dictionary, advice on handling holiday meals including alcoholic beverages. More than 10 percent of Latin Americans suffer from diabetes, yet when it comes to effectively developing meal plans that fit the savory tastes and favorite foods of Latin American cultures, diabetes educators and people with diabetes have been at a loss, until now. Written in Spanish and English, it features menu plans specifically designed for the Latin American palate from all over the Caribbean. 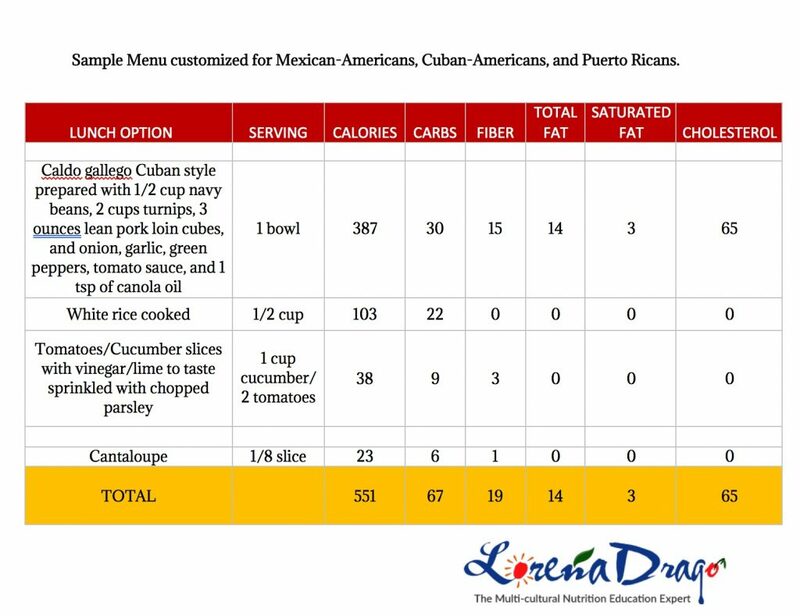 Whether it’s mofongo (plantain dish) or carne guisada (beef stew), this pioneering book shows Latin Americans with diabetes how they can easily design meal plans that fit into a healthy lifestyle without giving up taste or familiar staples. Fruits and Vegetables of the Caribbean – Luscious and delicious – and how many carbs? Fiber?